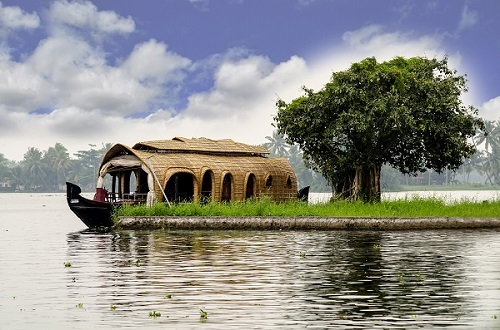 The region of Ernakulam is known for its boat making expert craftsmen. The production cluster is concentrated in Alappuzha district (Alappuzha and Tattampally). Wood and a variety of hand tools are used to make boats with planks, snake boats, and house boats. Once used for transportation, these boats are now used for leisure and boat races. Kerala’s professional boat makers have used their wisdom of the craft to help grow trade in the region. Settlements in the backwaters had been accessible only by boats for centuries. Vallom (‘boat’ in Malayalam) making is an integral part of the culture of the state. 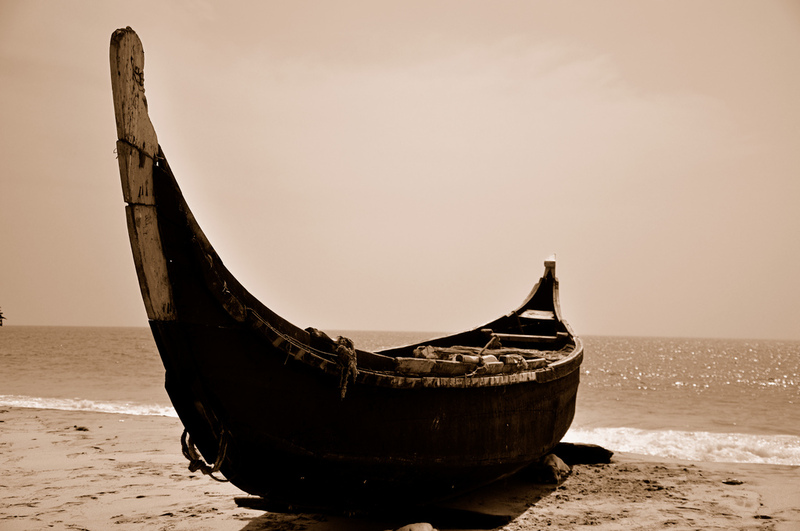 The region of Ernakulam is known for its boat making expert craftsmen. The production cluster is concentrated in Alappuzha district (Alappuzha and Tattampally). Wood and a variety of hand tools are used to make boats with planks, snake boats, and house boats. Once used for transportation, these boats are now used for leisure and boat races. First, the wood required for building the boat is carefully selected based on its flexibility, durability. Huge sections of the wood are collected, and planks are cut out of it. Once the planks have been cut according to shape and size requirements, the planks are arranged in a boat structure. The planks are coated with resin and heated, to make them flexible enough to be bent wherever needed. The spine of the boat or the central plank eravupalaka, is formed first. It runs through the entire length of the boat. Following this, the other planks are fitted around it. The planks are supported by a Nilathadi, a wood or stone base for construction. Kitti is the traditional stick used to align and bend the wooden planks, while Noolu is an alignment thread used to check if the planks have been aligned correctly. Iron and copper nails are driven using hammers and mallets, into the planks to hold them securely in place. Hand drills are used to make holes for these nails. Chelu kayaru – 2-ply coir ropes, Kettu kayaru – 4-ply coir ropes, are the kind of ropes preferred by the boat makers, as coirs resist the corrosive action of salt water. A team of two men work on tying up the planks together. One sits inside the boat, and the other waits outside. The insider passes the ropes through one of the drilled holes, while the outsider draws the rope and tightens it. The rope is beaten until tightly set, and the whole tying arrangement resembles a criss-cross pattern, by the time the tying process is finished. The kombu and the thalamaram, the two mastheads are made separately and attached to the main body of the boat. They are made of good quality wood, carved intricately with chisels, and attached to the boat by hammering nails in, and fastening with coir ropes. Once the boat has been finished, the outside of the structure is rubbed with a paste containing charcoal powder, arpus or chanchalyam, lime powder and fish oil. A few coats of this are applied and left to dry. This coat prevents water from seeping in, serving as a waterproof, and also prevents termite attacks on the wood. 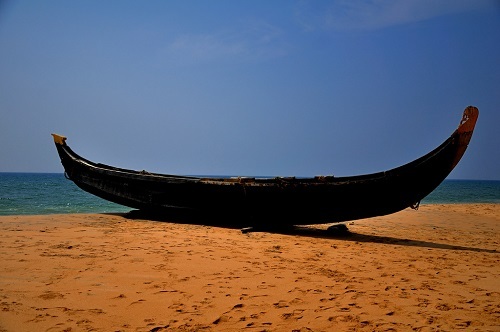 The characteristic black color of the Kerala boat is achieved by applying a coat of coal powder mixed into cashew oil. Kerala’s professional boat makers have used their wisdom of the craft to help grow trade in the region. Settlements in the backwaters had been accessible only by boats for centuries. Vallom (‘boat’ in Malayalam) making is an integral part of the culture of the state. The Aranmula snake boat race is a celebrated part of the local temple festival and is the only one of its kind anywhere in the world. Legend is that a ship carrying food for the pilgrims was ambushed by pirates and a bunch of snake boats came to the rescue. To commemorate this, a snake boat race is a part of the temple festival rituals. From being a chief transportation mode, the boats made at Ernakulam are now used for recreation and leisure trips as well. The boats are now being used as house boats, that have modern facilities such as electricity and toilets built inside them! 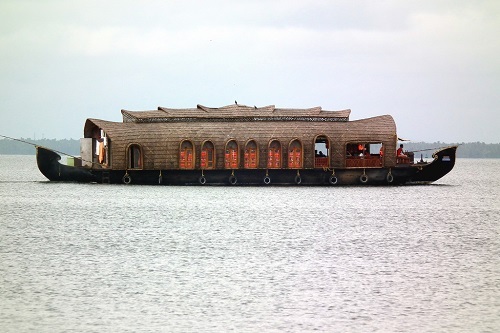 The roofs of the boats are made of woven bamboo mats supported by bamboo frames. While only hand tools were used earlier, hand drills and nylon ropes are now used to make the boat easier to build and more durable.